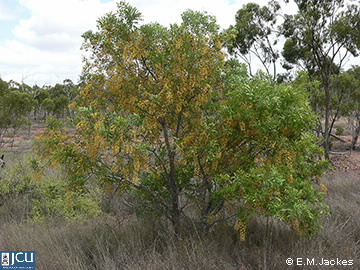 This native tree has compound leaves, with 2-6 pairs of leaflets, each to about 4.5 cm long. Flowers form a pendulous raceme, petals are usually yellow but some may have red markings. 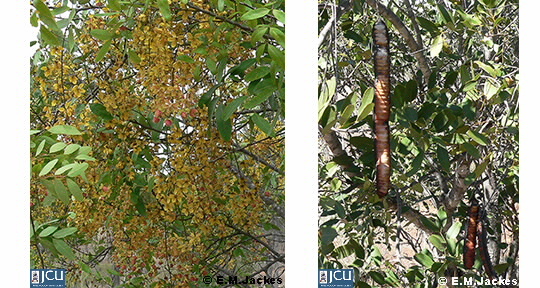 Pod to 45 cm long, ribbed between the seeds, which are enclosed in a corky disk. Seeds are often heavily parasitised.